Since 6 July 2016 all profits from dealing in or developing UK land are subject to UK tax regardless of the residence of the individual or company carrying on the trade. 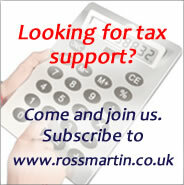 Businesses need to register for UK tax and they may need to register for CIS. The Profits from dealing in or developing UK land measures have brought many non-resident dealers and developers into UK tax for the first time. All non-UK residents who are dealing or developing UK land are required to register under self assessment (individuals, partnerships, or trusts) or for corporation tax (companies). Non-resident developers who are doing work covered by CIS need to consider whether they need to register as a contractor or sub-contractor. They may register online from 5 September 2018. If you are not dealing in or developing UK property and you are holding property as an investment it is likely that you are taxed under the CGT regime rather than income tax or corporation tax.